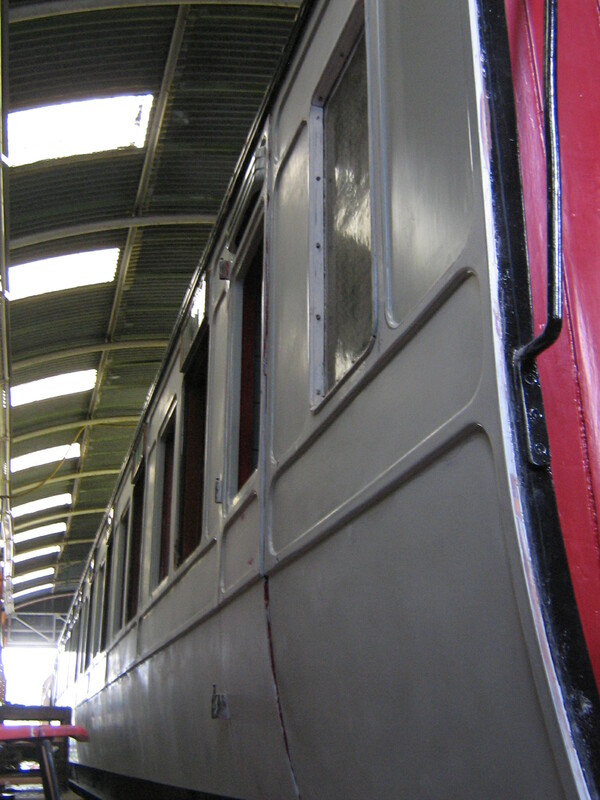 Beading filling completed during the week, then primed and undercoated. Some patches of brush filler applied to the panels and beading here and then, then the whole side sanded and undercoated in light grey. A few more areas attended to once this guide coat was in place, and then the side rubbed down again, ready for pink undercoat. 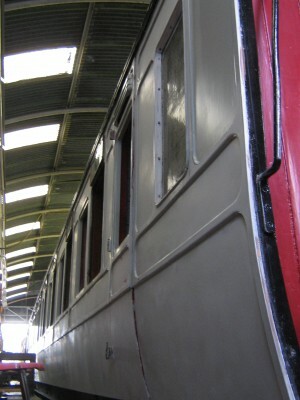 Glazing removed from the fixed windows and bolections sorted out, guttering in place and filled and sealed to the roof. Lavatory vent has been repaired and is being filled ready for fitting.